We are delighted to announce that you may now book a luxurious Hair Spa Treatment at our Mayfair Clinic, for yourself or a loved one. Relaxing, uplifting and invigorating, our Pomegranate and Cassis Hair Spa Treatment is an intensive conditioning experience, designed to create bounce and shine while hydrating and revitalising all hair types. 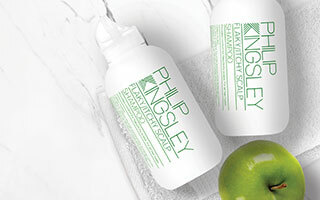 A Philip Kingsley Treatment is the ideal spa indulgence for both current and new clients, whatever your wishes: to repair dry or damaged hair; to address a specific scalp concern; or simply to restore your hair to its best possible condition. Your hair and scalp will be examined by one of our experienced Trichotherapists, to determine the best personal Treatment for you. You will learn about how to manage your specific hair texture; how to choose the best products for achieving the results you want; and how to embark on our world-renowned holistic approach to hair, to ensure you are giving yours the care and nutrients it needs. 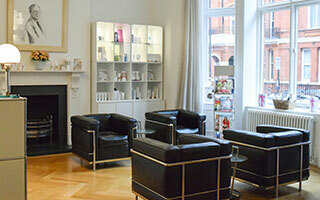 Your Philip Kingsley Treatment will be tailored to your hair type and scalp condition. Your journey to healthy, beautiful hair begins with us, and continues at home. Your Trichotherapist will give you a detailed care plan, as well as advice on washing, styling, and protecting your hair and scalp from daily damage. 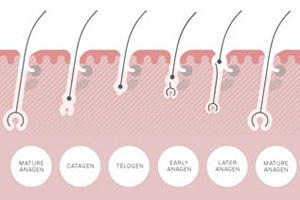 Our Spa Treatments also provide the ideal forum to start a conversation about hair and scalp concerns, if you or a loved one is considering seeing a Trichologist. Learn more about our Consultations here. Take the first step to life-changing hair and book your treatment now. A Hair Spa Treatment lasts 60 minutes and costs £85.